Thinking of a beach day? 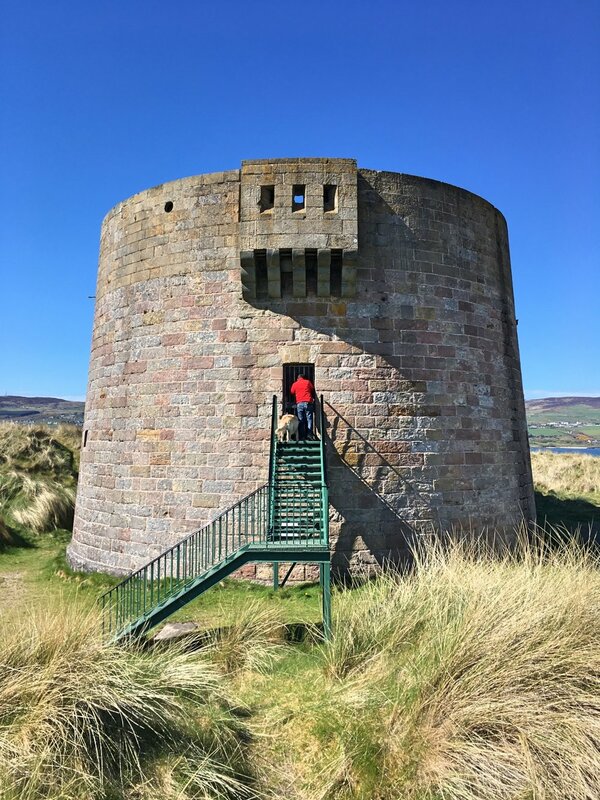 Undoubtedly one of the best in the whole of Ireland, Benone Strand has to be on your list, whether you’re looking for summer sandcastle-building or a chilled out refreshing walk. 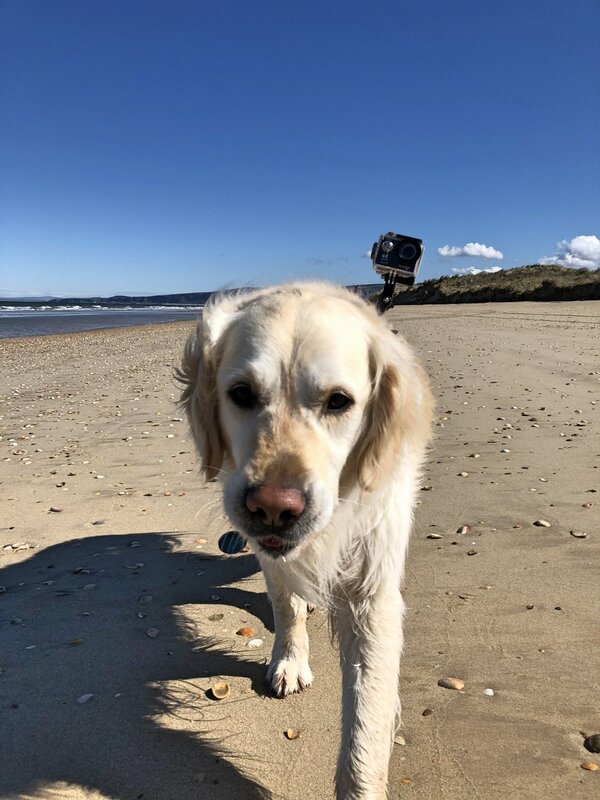 A European Blue Flag and Seaside Award winner, the beach is without rocks, shingle or seaweed – so safe feet all round. Seven miles of golden sand make it a popular place for walking, cycling, canoeing, fishing, kite surfing… AND you can drive your car along it. Benone Strand is just 1 hour 20 minutes from Belfast, 40 minutes from Derry~L’derry and 30 minutes from Portrush on the Causeway Coast. Technically, the seven mile stretch of sand is three beaches, with three main entry points. Downhill Beach – which sits at the foot of Mussenden Temple and Downhill Demesne. 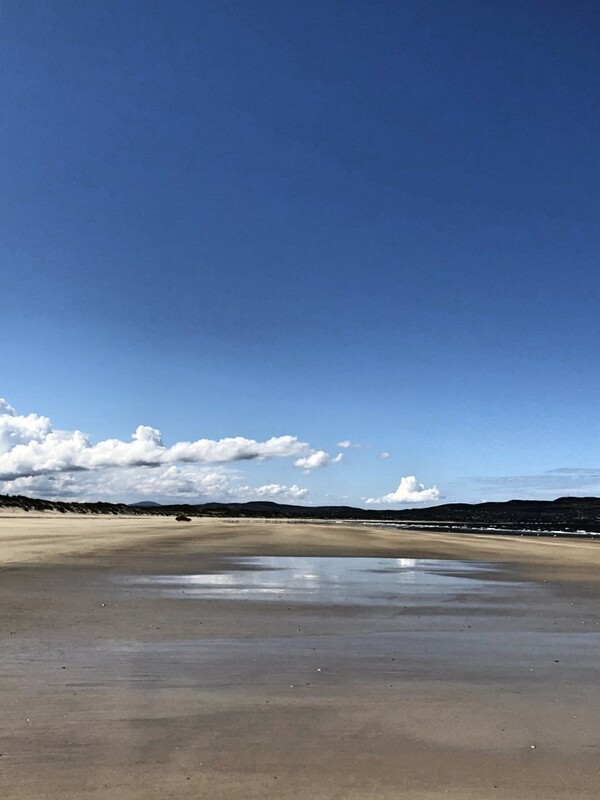 Benone Beach – the bit in the middle, which is accessed via Benone Complex, about 3 miles further West along the coast road from Downhill. Magilligan Point – the very end of the stretch; you’ll probably have heard of it for the ferry across to Donegal and the Prison. More of that below. 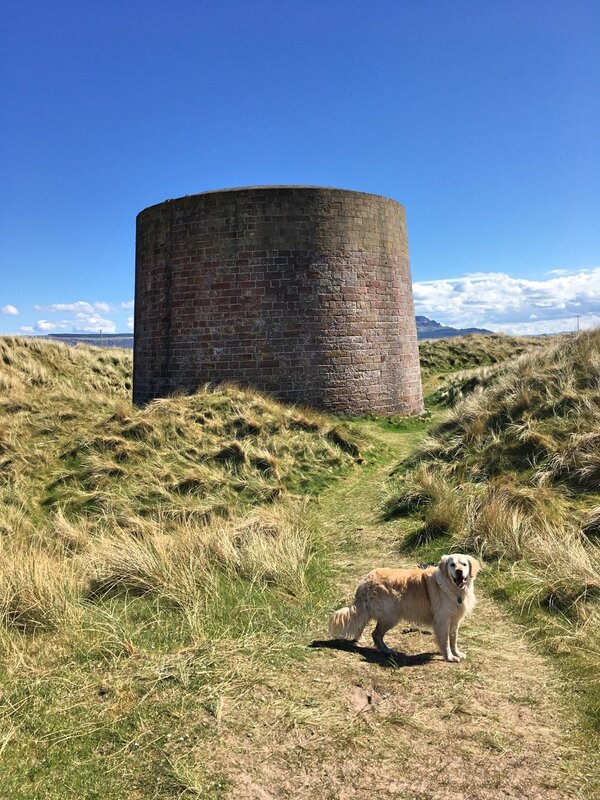 Having stopped a few times recently at Downhill Beach – and already spending most of today at Downhill Demesne (see here) we headed straight to the Benone Complex at the foot of Binevenagh Mountain to start our beach walk. EH…. SHOULD WE KEEP GOING? 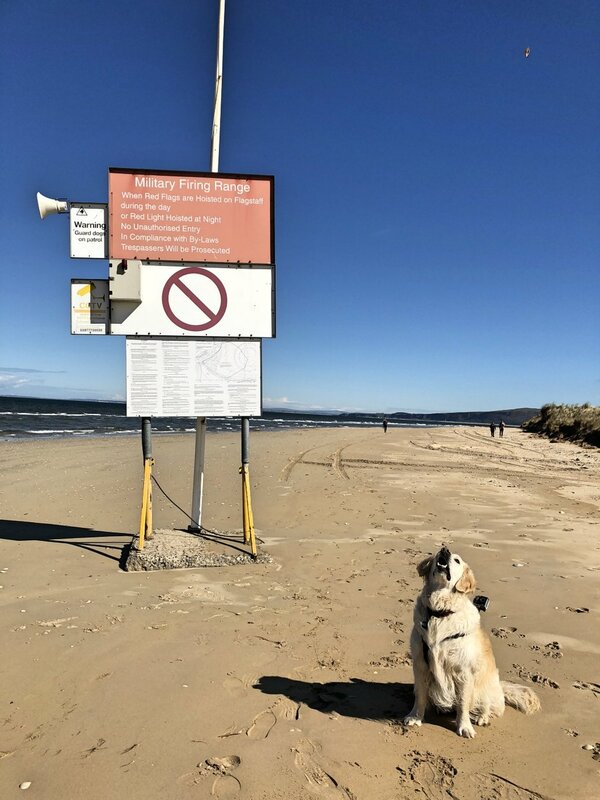 A few miles along the beach we stumbled upon this slightly alarming sign. Unless you’ve a bird’s eye view of the area, you wouldn’t know that beyond the dunes is an Army training camp and Prison in operation. On a sunny day like this, it really is like an oasis. This is the mouth to Lough Foyle – if you were to follow the water on round to the left, you’d end up in Derry~Londonderry City. The green hills across the water are on Inishowen Peninsula, County Donegal. 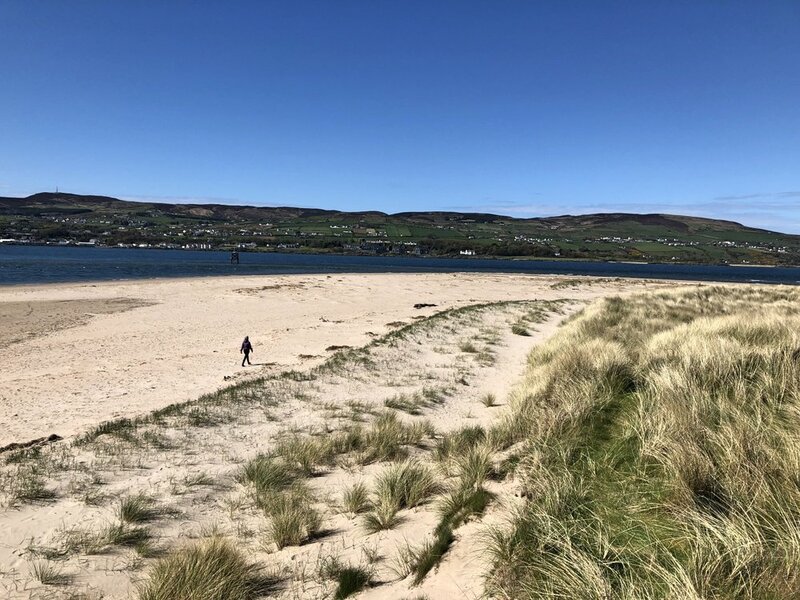 The Lough Foyle Ferry can take you across from Magilligan in 30mins - connecting the Causeway Coastal Route with the Wild Atlantic Way, by passing Derry~Londonderry. If you haven’t been across to the Peninsula before, go. Give yourself lots of time too. Beautiful coastal drives, lush green hills and eventually you’ll arrive at the northernmost point of Ireland – Malin Head (where they filmed for Star Wars: the Last Jedi). Epic, rugged scenery.